With the recent upgrades in technology, people today have gained the ability to be social in the virtual world. If you want to stay home, locked up in your room - to get loads of “me" time - you can do so; however, you can still do this and be social with the power of the internet. Modern methods of communication have definitely opened up users to a myriad of platforms which can be used to reach the outside world. It is now convenient and cost-effective to communicate online via diverse social media networks like Facebook or Twitter, wherein you can go to places and meet different people without ever leaving home. Going online to socialize is not just a hype or fad; it has become a lifestyle for many people of all shapes, sizes, and ages. Check out these top 3 ways to keep social in today’s online world. Not only can you get social with these, but you can use the following to meet widows and widowers in your area, that share your same interests. Who doesn’t use Facebook nowadays? Everybody has their own FB accounts: kids and even their grandmothers have them. We’ve even seen some famous pets with their own page! Social networking sites have amplified socialization to an all new high. Businesses have tapped into social media to reach a more targeted audience and get massive traffic conversions. When deciding what social media club you want to join, there are literally a dozen-plus options: Facebook, Twitter, LinkedIn, Pinterest, Instagram, Tumblr, Google Plus+, and Flickr - to name a few. Take your interests, likes and dislikes, when deciding which social media sites you want to join. Decide if you are joining for business or leisure, or for keeping up with your grandkids or your senior friends. These social media sites are designed to be interactive wherein you can exchange information in video, audio, or text form, making communication fun and relatively easy. Forums are a great way to meet new people and also provides each user with a chance to exchange ideas with like-minded individuals. If you are a sports or car enthusiast, you can easily join groups or forums in that arena. If baking or scrapbooking is more your speed, they have forums for that too. Most individuals join forums according to their interests or niche because they have a deep desire to be social and forums allow you to engage with those who share your same passions. 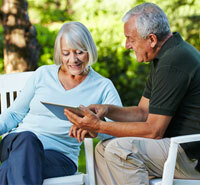 There are many seniors that claim that forums give them a sense of purpose. Engaging with friends, provide experience and knowledge, and learning new things every day are just a few of the great benefits that come from becoming active in online forums. 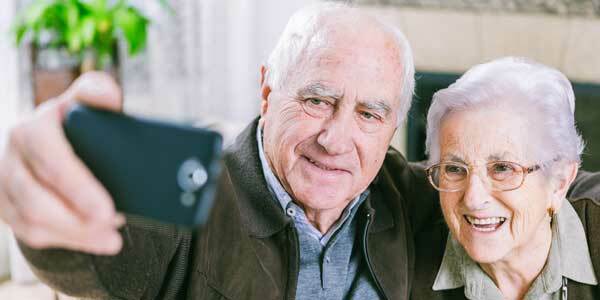 If you really want to get the most out of your forums and develop your passion and love, check out some of the online dating website forums, SeniorPeopleMeet has great features for their users. Dating has pivoted into a new, technological platform as well, especially for widows and widowers dating. Dating, a ritual which started on casual face-to-face engagement, has transcended into the virtual arena. People get to converse and even share pictures or videos, as well as bits and pieces of information online in their own personal biographies. Online dating has become speedy in the real sense and not just the speed dating that we remember from our bar days. The great thing about joining these online dating sites is that you decide on the pace with each and every person you chat with online. You get to reveal more or less of yourself depending on your level of trustworthiness or intimacy with a certain person. This is also a cost-effective way of dating compared to spending too much money on numerous dates, on exquisite restaurants, dates, and gifts. Therefore, you get to save the extravagance for the right partner once you decide to meet up and take things to the next level. Getting social online is different from socializing with people you are already acquainted with or have encountered face to face. Some people could be pretentious or deceiving online. It is important to take extra precaution when mingling with your social circles online because you really never know for sure who you are dealing with. Do not give too much information to someone you just met online, seconds ago. It is important to be cautious when first becoming social online. Change passwords regularly, check your privacy or security settings, do not share personal photos or reveal everyday whereabouts to strangers, do not give out your home address, and don’t reveal financial or bank information. Following these simple safety rules, provided by match.com and there is no reason that you cannot thrive in the social online world. Ready to take the first step to becoming social? Check out OurTime​, a site exclusively for singles over fifty.